When most people talk about exotic fruits they usually think about mangos, bananas, or avocados. In all fairness, if you are living in a temperate climate, any fruit except apples, pears, and grapes can be considered exotic. Even so, there are plenty of delicious fruits out there most of you probably never heard about, yet fruits you should definitely try at some point. 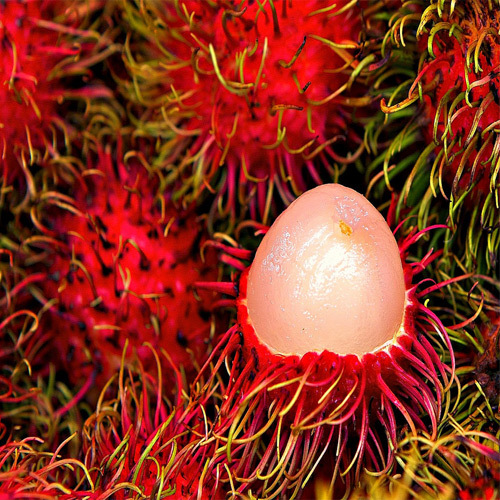 This stunning fruit has a flavor and texture similar to lychee, with a soft and juicy pale interior. Easy to eat a bunch at a time, just peel away the thin outer layer to get to the good stuff inside.